Wearing your bra to bed? My two daughters refuse to sleep without one: a bra. I don't get it! Isn't the night a wonderful opportunity to free your girls from their tight containment? I never wear my bra during the night. I just don't like to feel confined during the night. But then I read wearing your bra both day énd night is the answer to prevent droopy breasts! Apparently that's what Marilyn Monroe did, and she had glorious breasts. However, there are others who say this theory is a myth. So I did some serious thinking about the pros and cons, but in the end my need for comfort won. My girls will still be set free at night! 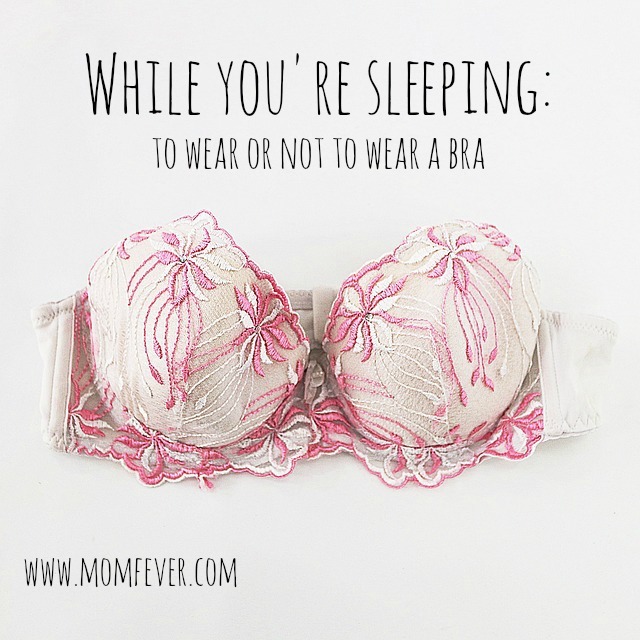 Do you wear your bra to bed? Comfort and good circulation are the benefits of sleeping free. Yes, I think so too Kathleen. It's nice to sleep unemcumbered. Marilyn also didn't have children and was fairly young. I think no matter what gravity will win out in the end so why not be comfortable. Good point! I hadn't thought of that yet. Why would I torture myself in such a way? I used to wear a bra when staying at someone else's house or having to split a hotel room with someone. I don't even do that anymore. Oh I have to take my bra off when i go to bed! Can't sleep wearing one.